A precious book containing a number of insights about Christianity from someone who used to be an arch outsider. Her occasional critiques of conservative Christian culture are worth hearing. The grace of God in rescuing her is amazing. The human means by which she was rescued—a local septuagenerian pastor who showed hospitality to her and asked wise, probing question—is a testimony to us all. 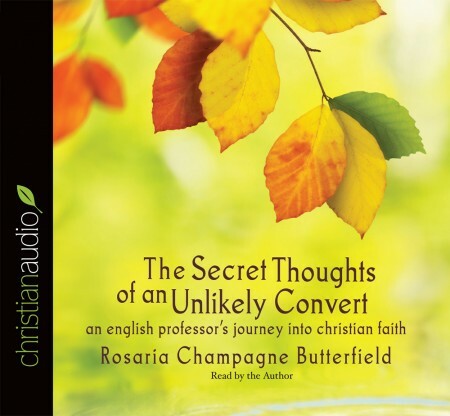 Christian Audio gave me a review copy, and Rosaria herself is the reader. She's a special Christian sister whom I admire greatly, it was wonderful to hear her read through her own work.